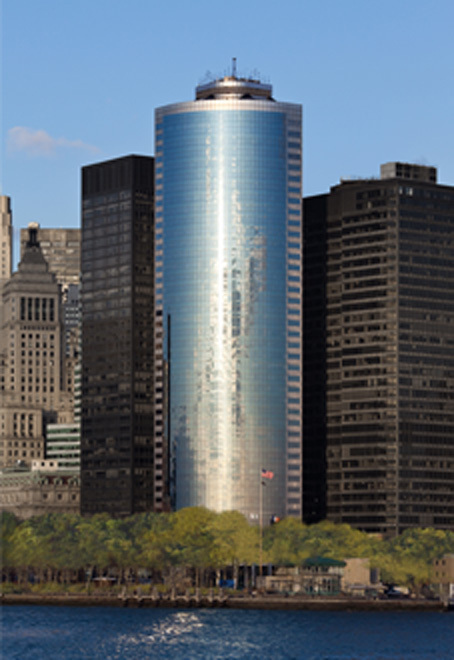 Designed by Emery Roth & Sons, 17 State Street is a defining feature of the downtown Manhattan skyline. The property's curvilinear 14,900-square-foot floor plates offer permanently protected views from the second to the 42nd floors. The commercial building has approximately 570,696 total square feet of space. 17 State Street is located at the corner of State and Pearl Streets across from Battery Park. It is easily accessible from the 1, 4, 5, N and R trains, Staten Island Ferry and is only a short trip away from the downtown heliports. 17 State Street is also within close proximity to NYSE, NYSE AMEX Equities and other exchanges. 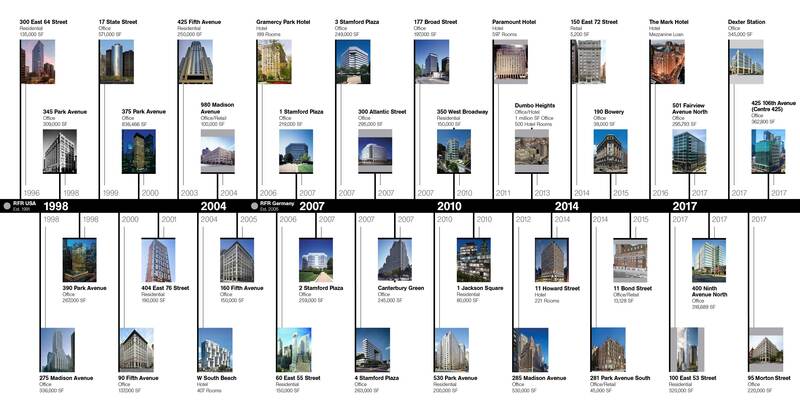 RFR recognizes 17 State Street as the premier downtown “Class A” trophy office property due to its iconic architecture, excellent location and unparalleled views. Since acquisition of the property, RFR has executed a capital improvement program consisting of elevator modernization and aesthetic improvements to the corridors, lobby, plaza and common areas, and has created a high-end, pre-built program.